It's big...it's red..and yes there's a bow! 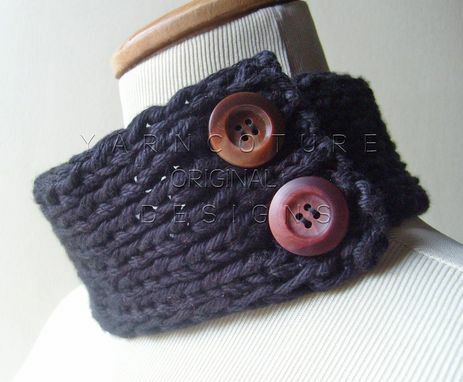 I started this touch of whimsy from my private stash of merino wool roving. 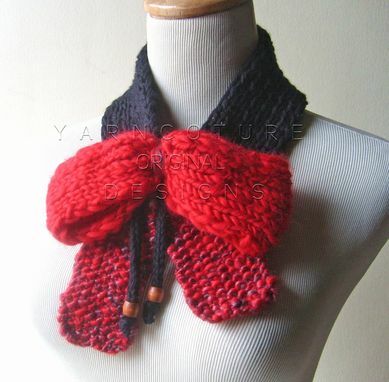 I picked up my spindle and began spinning the yarn..a palette of muave, gold and charcoal bamboo were intertwined with merino fibers and gold thread to form the gorgeous art yarn, then hand-knit to fashion the bottom ties of the bow. 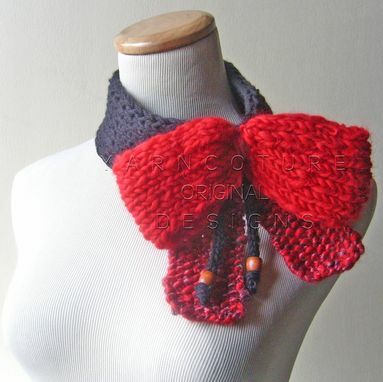 Plain red merino was spun to make the enormous bow highlighted atop, accented by a touch of the multi-colored handspun. 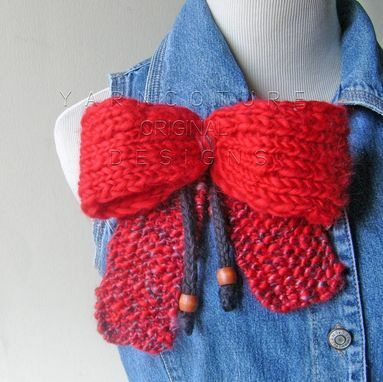 Cool, luxuriously soft cotton yarn was used to make the neck band and genuine maple wood bead tassels. 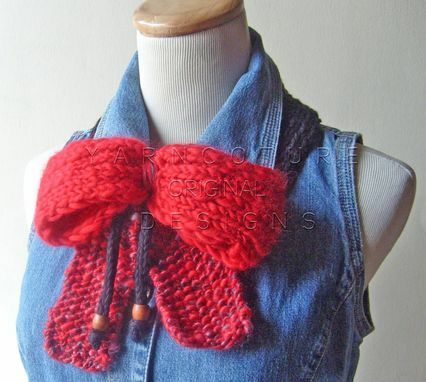 Wear as a gorgeous brooch to finish off that cute sweater or top when out for coffee or a poetry reading with friends, or simply be grand and wear with the neckband to express your individuality. Makes a perfect gift! Care: Hand wash in cold water, squeeze out excess water in a dry towel, being careful not to wring or twist. Lay flat to dry.